It’s amazing what can be created when a community works together toward a common goal. Play isn’t just about giving students a break from class. As Albert Einstein once said, “Play is the highest form of research.” In addition to helping students get needed exercise, playgrounds encourage social, cognitive and emotional development and should be seen as a vital part of their learning experience. Here are six school playground projects that brought communities together and improved the lives of their students. It all started with Peg Chaidez’s dream for her son and other kids with disabilities. When her son Owen’s wheelchair got stuck in playground wood chips, Peg decided to create a playground for kids of all abilities. She launched a crowdfunding effort and created the Dream Build Play Experience, a nonprofit organization that builds inclusive, accessible playgrounds around the Chicago area. How awesome is that? Owen’s Playground at Hillcrest School, named after her son Owen, includes double wide ramps, recycled rubber instead of wood chips, a musical area with drums and piano, and even rock climbing walls. Check out Owen Chaidez enjoying the playground at recess. And the amazing teacher award goes to…. Emily Max, a teacher at Toomer Elementary, wanted to build an inclusive playground and improve the accessibility for students with disabilities. She applied to a contest being held by Farmer’s Insurance and scored an $100,000 grant for her school. So, what does this new playground include? It includes a soft, rubber surface where wheelchairs can roll freely. Features are at lower heights and every activity can stimulate all five senses. What a wonderful idea to place activities at varying levels! Woodstock Elementary School replaced its old blacktop and cracked pavement with a new and innovative playground. 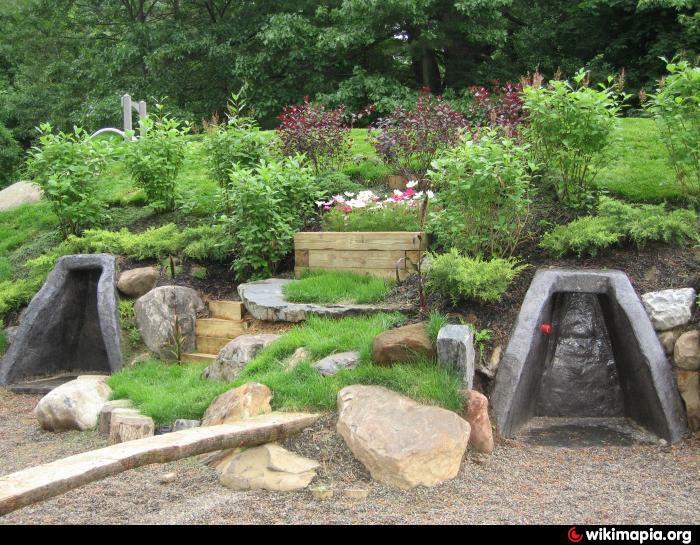 Now children can enjoy flower and vegetable gardens and green play spaces. Once again, the project happened because a community came together with private donations and grants. This won them the Vermont Public Places Award, which is given to well-designed projects that benefit the public. The original Gompers Elementary School playground had some big safety concerns. The equipment was decades old and there were drainage issues, causing large puddles and ice in the winter. So Gompers’ determined PTO involved their community and developed a savvy business plan they called “Growing Together”, which included gathering volunteers, working with the school district, and building in phases. They even involved students in the design process. The new elementary school playground includes a school and community garden. Volunteers built inclusive play structures for students of all abilities to use and enjoy. Once again, a community works together toward a common goal. 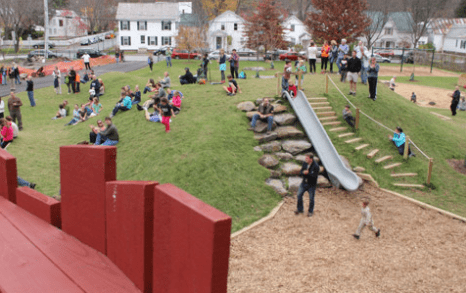 In this case, the PTA oversaw the creation of an inclusive, natural playground that includes an amphitheater with rocks doubling as seats and a rock climbing wall. Wow! They also wanted to make sure the playground is wheelchair accessible. Donors from inside and outside Glenn Falls contributed to the project, volunteering their time and expertise. Parents created this playground on their own. Great Outdoors Colorado (GOCO) offers the School Yard Initiative (SYI), which funds projects for the school playground or yard, as long as they meet two requirements: 1. Students must help design the projects. 2. The projects must be open to the public after school to accommodate families who do not have access to quality parks. 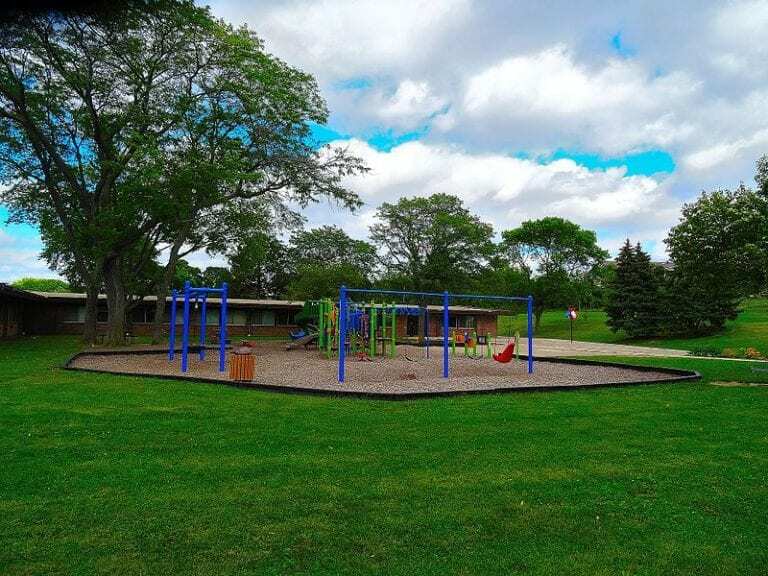 According to a blog run by the City of Lakewood, a parent named Wendy Strom, whose son attends Westgate, reached out to her local community, including neighbors and small businesses, for help in rebuilding Westgate’s outdated playground. 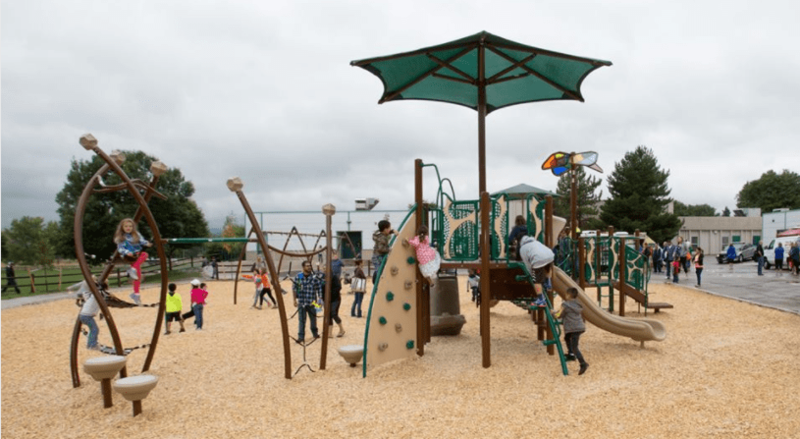 The students of Westlake, their parents, GOCO, and the City of Lakewood came together to design a modern playground that educates and entertains. Most importantly, this new playground brought an entire community together. 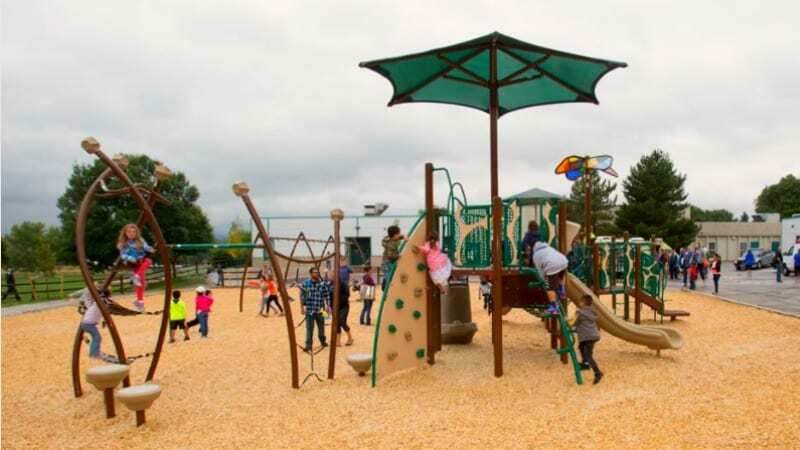 This has helped them to focus on other outdated playgrounds in the Jeffco school district. What Is Growth Mindset Really?